ONLY 12 Spots per evening! They fill up quick! 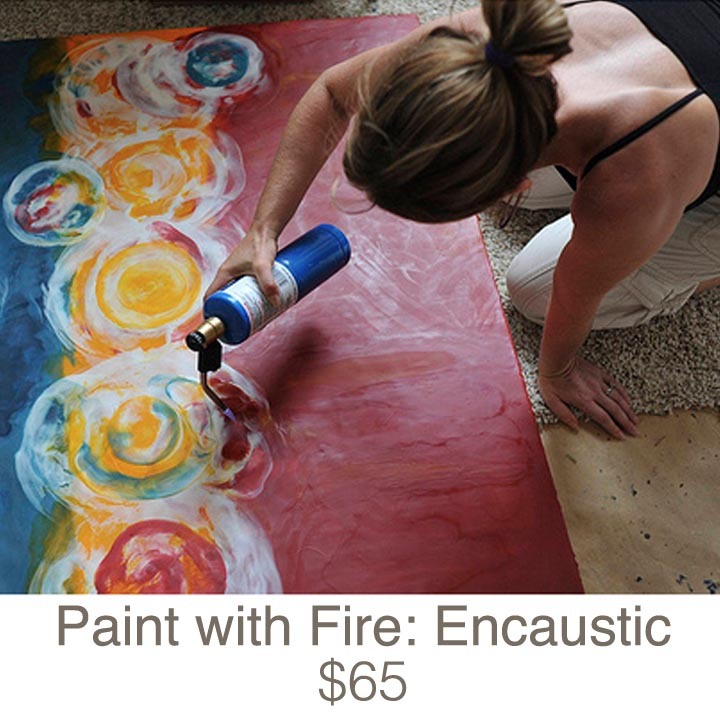 Back by popular demand, local encaustic artists Penny Treese and Kim Stuart will instruct the art of encaustic wax painting using step-by-step techniques through “painting with fire” in a relaxing, therapeutic and fun environment. Create backgrounds of deep hues and end with gorgeous bursts, layers, blooms, or explore building undulating textures of bold colors and marks. By the end of each 2 1/2 hour session, you’ll take away a finished piece of art ready to hang in your home. Please bring cash or check written out to the instructor. Encaustic tools, brushes, beeswax and paints, aprons.